Well the winter season is definitely in full swing as we build up to the Athletics NZ Cross Country Champs in Auckland in just over three weeks. During that same weekend we are holding the Athletics NZ AGM and Club Connect Conference. We have some exciting things in the pipeline at Athletics NZ at the moment, including the redevelopment of the Run Jump Throw programme, an interactive website for our Children's programmes, a new strategic plan and new Coach Education Framework. Make sure you come along to Club Connect at the end of the month to hear all about them. We look forward to seeing you all there. Run Jump Throw – NEW! After 37 years the Run Jump Throw resources and programme have had an overhaul. The new bright and simple resource has been designed to help clubs deliver age appropriate and modified athletics games to kids 6-11. The resource comes in 2 parts. A manual that covers the ins and outs of the programme, the technical break down of athletics skills and ideas for modified competitions. The second is a series of activity cards with over 70 fun athletics based games to help kids learn new skills in a fun child centred approach. It’s fun, it’s exciting and a must have for every club. Ready for this summer! Have you checked out the Club Toolbox on our website recently? It has been designed for clubs and is full of useful resources and templates to help you run your club. We are updating this often with new material. Make sure you check it out here and let us know if there is anything else you would find helpful and we will do our best to create it for you. It’s that time of year again. From April 1 Member Club Affiliation is open for the 2017/18 season. It’s the same process as the previous few years. You will need to fill in the online form and will be given the choice of paying online or by an alternative method. The purpose of the online form is to gather up-to-date contact details to improve our communication with all clubs. If you are still to register for the 2017/18 season please follow the process below. 3. Pay Fee: Like last year, clubs will be given the option of paying their Member Club Affiliation Fee online using a credit card or alternatively receiving an invoice for alternative payment once the form is filled out and submitted online. There will be a $10 DISCOUNT for all payments made via Credit Card. Please make sure you pick the correct option at the start. We are now truly settled into the new membership year, so we’d like to take this moment this year to thank all the registrars who have dedicated their time to understanding and familiarising themselves with ClubNet. At the start of the year we announced additional support and incentives are available for all clubs who use mandatory online registrations during the 2017 season. A few clubs have taken us up on this offer, but we are aware there are more of you out there who could benefit from this too. This is a reminder that if you have selected to take payment by debit or credit cards only this year, please read the 2017/18 Mandatory Online Payment Incentives notice and submit your incentive preferences. June’s ClubNet Tips, should help you when managing your members on ClubNet. Although it doesn’t quite feel like it yet, summer is not far away and we encourage you to allow plenty of time to set up and familiarise yourself with the new ClubNet2017. This should mean that when registrations open, the transition for you, the club and your members will be smoother. If you haven’t already, please contact your Super User who can provide you with administration access and support you through the initial set up of your ClubNet 2017 console. 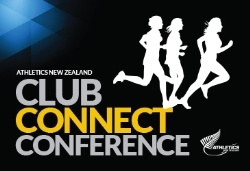 Athletics NZ will be providing all clubs with the opportunity to mix mingle, share and be inspired at this years Club Connect Conference. We have some brand new and exciting tools and resources to present to you this year. Make sure you are there to hear it first. All clubs that register by Friday 14 July will be into win a Run Jump Throw kit worth $1000 for your club. The 2017/18 Event group Plans are LIVE! 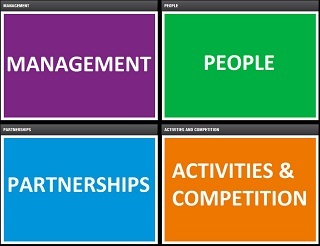 The Athletics New Zealand Event Group Plans contain identified activities for Coach and Athlete development. This is your opportunity to observe ANZ-HP Coaches and event group leads in action, and interact with the wider community of coaches and athletes across the event groups. Event group activities are open to all coaches and athletes, inclusive of Para athletes and their coaches, however some activities do have set eligibility criteria, so please check each activity to see what suits you. We look forward to seeing you there! From 1 July 2017, the NZ Police introduced a fee of $8.50 per person for vetting services. We have revised our Coach Membership fee to ensure we are able to cover the increased costs. As of 1 July Coach Membership has increased to $30 (from $25) to partially offset this cost. Travelling with a big team or lots of equipment? No problem! Rent one of Hertz larger vehicles and you’ll have all the leg room and storage space you need to get to your event. 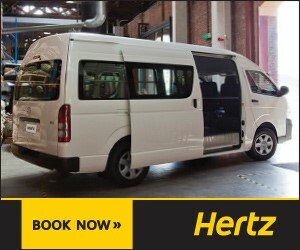 Hertz have many different sized vehicles to choose from, you will always find one that is a winner for you. Remember to quote CDP: 2082291 to receive your Athletics NZ discount. Athletics New Zealand and Nice 1 have partnered with a number of organisations to help bring clubs discounts on services they use often. They can all be found in one handy manual. We encourage you all to have a read through whats on offer. Any questions please let us know. The Athletics NZ Member Benefits Programme is a great way to incentivise people to join your club so please let all your members know via your websites, club newsletters and at club night/run Clubs and Centres can use these discounts too! Check out some extra special deals from some of our partners below. Delivery of Kiwisport projects are underway for 2017 in Sport Auckland, Counties Manukau Sport, Harbour Sport, Sport Waitakere, Sport Northland, Hutt City Council, Sport Waikato, Sport Tasman and Sport Bay of Plenty. 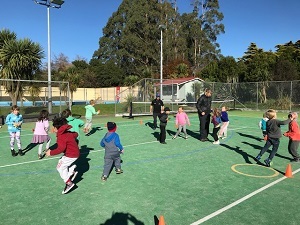 Our aim with these in-school and after-school Kiwisport projects is to create positive, fun and meaningful experiences for children aged 4 – 8 years old. We want to develop children’s fundamental movement skills as well as their social, emotional and cognitive skills through age appropriate games and play. Our other aim is to upskill and promote clubs/coaches/parents so that children can continue their positive experiences from school to outside of school opportunities e.g. Get Set Go at an athletics club night. If your club is interested in more information about Kiwisport projects please contact the Get Set Go manager Stephanie Cunningham at Stephanie@athletics.org.nz.